Bureau of Reclamation Acting Commissioner Alan Mikkelsen announced today that Reclamation will provide $3.62 million to conduct laboratory and pilot-scale desalination and water purification research in 13 states. Sixteen laboratory projects, four new pilot-scale projects and one continuing pilot-scale project were selected. The $3.62 million in federal funding is being matched by $3.52 million in non-federal funds. "Desalination and water treatment provide a potential new source of water for communities throughout the West," Mikkelsen said. "The research funding provided today will enable new technologies to be studied to see if they can help improve the treatment of water." 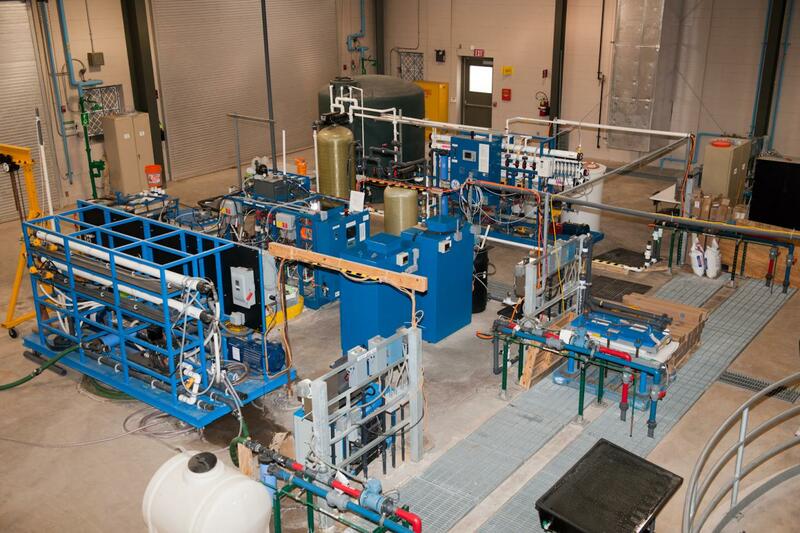 The Desalination and Water Purification Research Program is helping Reclamation and its partners confront widening imbalances between supply and demand in basins throughout the Western United States through testing and development of new advanced water treatment technologies. The DWPR Program focuses on three main goals: (1) augment the supply of usable water in the United States; (2) understand the environmental impacts of desalination and develop approaches to minimize these impacts relative to other water supply alternatives; (3) develop approaches to lower the financial costs of desalination so that it is an attractive option relative to other alternatives in locations where traditional sources of water are inadequate. The laboratory projects in the following list are bench-scale studies that are completed within one year. Pilot-scale studies are bigger and are completed within two years. For more complete descriptions of the projects, see https://www.usbr.gov/research/dwpr/.